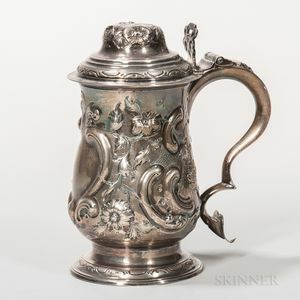 George III Sterling Silver Tankard, London, 1813-14, Peter & Ann Bateman, maker, with a domed lid and later chased decoration, ht. 8 5/8 in., approx. 29.6 troy oz.